Bunon is quietly located little away from Roppongi and Nishi-Azabu. which make you feel to be transported back in the time of old days. 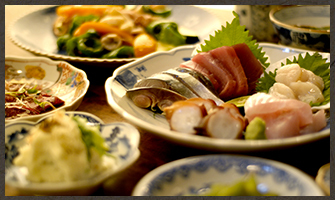 Please enjoy our Japanese dishes and wine with music in the heartwarming background. We have a counter and tables on ground, which is recommended for light dinner and drink. where is good for who wants to have dinner in relaxed atmosphere. our dishes are also reflected seasons by using seasonal ingredients. Please enjoy our Japanese meals with a wide variety of wine. 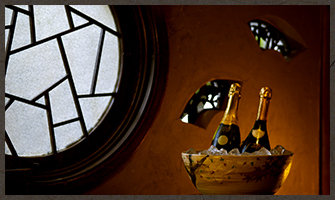 As our name Bunon (葡呑) means “grape ”and “dink ” in Japanese, we have a abundant variety of wine. You can try them by a glass. We are also happy to select the best matching one with our seasonal dishes for you. Our glass wine is available from 500 yen. and seasonal vegetable form our own farm every day. We arrange the best dishes of the day as seeing the stock and purchasing. which are available from 500 yen. There will be cancellation fee in the case of sudden cancellation without notice. Thank you for your understanding. Copyright(C) BUNON. All Rights Reserved.